Don't even need a smart phone. My parents got one that only does texting, and calls only and has buttons on it bigger then most landline ones. How does this work with phone alarms? We have VOIP on our RBI connection but it cannot be used for emergency alarms, which only work with landlines. I can imagine this would be an issue for older people. Rikkitic: How does this work with phone alarms? We have VOIP on our RBI connection but it cannot be used for emergency alarms, which only work with landlines. I can imagine this would be an issue for older people. You can get mobile or internet options on house alarm systems, for a SOS alarm there should be a mobile offering as well. You would think that the companies providing these offerings now would of come up with a solution that would work over a VOIP option on a router as they are just normal phone outlets on the router but may need some configuration in the background. telecom or now spark have been ripping the costumers off for years and I bet this poor woman has been made to take out a 12 month contract, now if she went to 2degrees and paid the $29 pre month she would have saved $696 for the year but because of the contract she cant, Spark should come back to the real world and put a sparkle back in her life. Shows customer ignorance, I just cringed then closed the tab. They add amusement and humour to my day. Nothing gives good amusement like an unintelligent person chipping in, to something they have no knowledge about. My current cellphone plan costs $15/month less than that and has unlimited calling, so if she just wants a phone that would be the way to go. Hell one of these suckers plus the unlock fee is $55 VF Alcatel 10.42 and from then on she would be saving money. There are some things, which for whatever reason, a person just can’t wrap their mind around, no matter how much they try. I look at my 90-year-old father. He simply cannot figure out how to use a mobile phone, and he’s tried many times. However, he happily uses his iPad to browse the web, read preloaded books, watch movies. Facetime, Skype, etc – he just can’t get how to answer/place a call. Go figure. Regarding phone hardware, buttons on POTS phones designed for the elderly and disabled are around 25mm square and widely spaced. Why? Because some people can’t see smaller buttons, let alone the numbers on smaller buttons. Other people don’t have the motor/co-ordination ability to select smaller buttons. There are no screens because for some people to be able to read what’s on one, the screen would need to be tablet size with 144pt type. The handsets are big and shaped so that arthritic/rheumatoid/etc hands can pick them up. The last time I saw/used a mobile which came anywhere close to those dimensions would have been around 1990 when mobiles came with their own shoulder bags. With a bit of tech knowledge, there is the opportunity to save money here - you only need a single fiber connection to supply VOIP to all of those flats. Distribute it via wireless into a bunch of VOIP phones with the look and feel of POTS and voilà, $25/mth phone bills instead of $45/$65/$85. I guess fiber is how you will receive TV in the future, but it is almost unbelievable that they haven't installed copper, irrespective of the rather obvious preferences of their intended tenants. Thanks for the link below. Went into a vodafone shop, requesting this service and they looked at me like I had two heads or something. The staff had never heard of such a service so I assumed I was showing my age and it had been discontinued. My whole community (Hobsonville Point) has no copper going into the homes at all. They are just all built as UFB ready with the ducting already installed to them/in them. Wait... Will they lose phone connection during power outage? The hybrid cable is for a lead-in, not inbuilding use. If the property developers (COuncil in this case) in this situation had wanted to have deployed both copper and fibre within the building they could have done so, however the cost of doing this would have pretty much been at least double what it cost for fibre. Fibre only buildings have become the norm, there is nothing new or surprising about that. 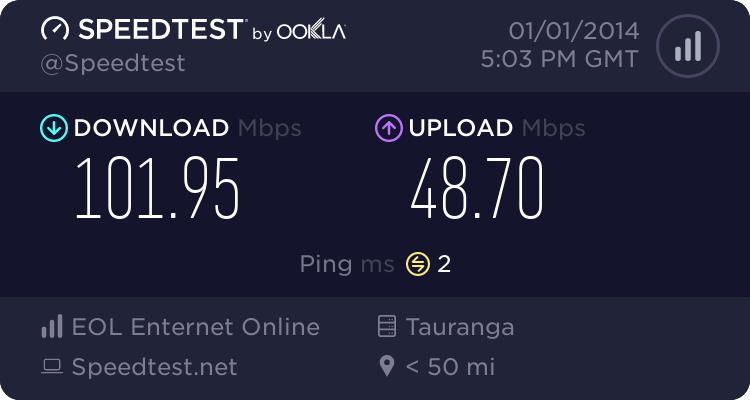 It's been the case for the last 5-6 years in pretty much every new subdivision built in NZ where there are now thousands and thousands of homes were fibre is the only option available. Mind explaining what has actually been overlooked here? Because I don't know what you mean by that comment.